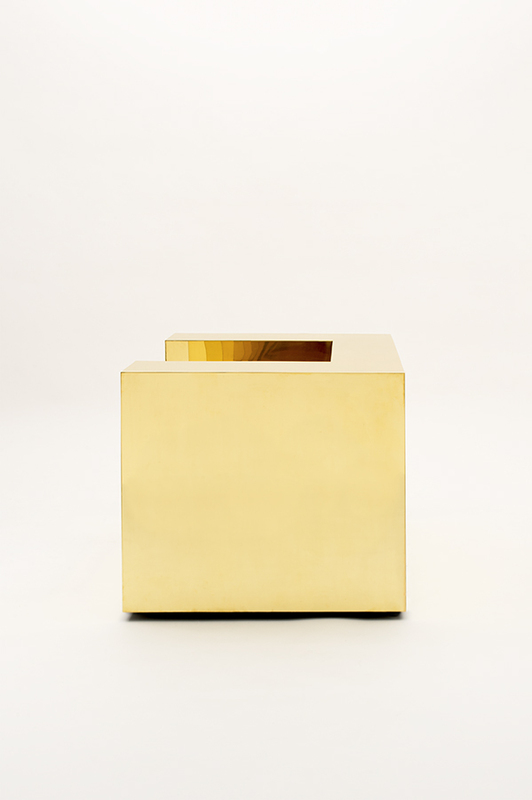 Subtracted Cube is a study in blending minimalism with extravagant luxury. The name derives from one of the basic elements of digital modeling, using one primitive form to subtract from another in order to create a third. 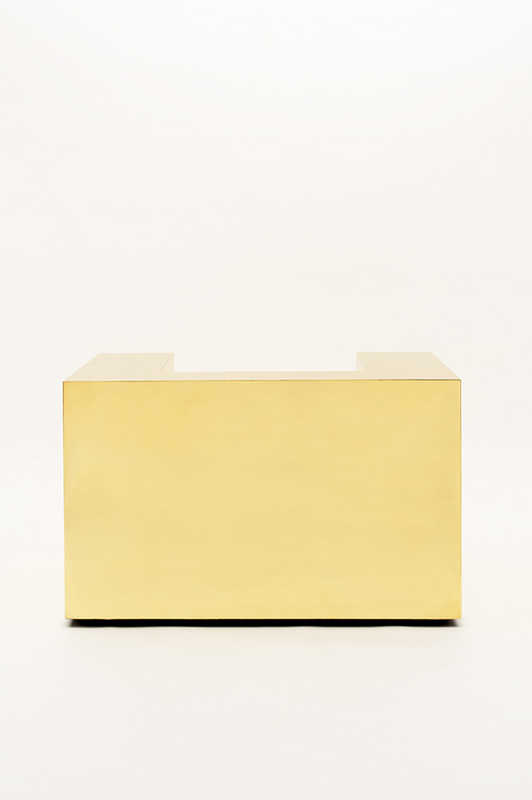 Executed in brass, the end result is a minimal yet surreally glamorous sculptural form.